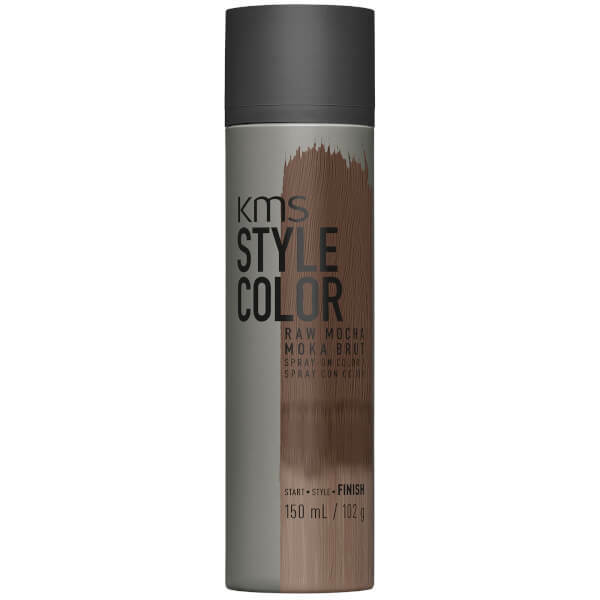 The KMS Style Color in 'Raw Mocha' is a non-permanent, spray-on colour that allows you to experiment with colour without the commitment. 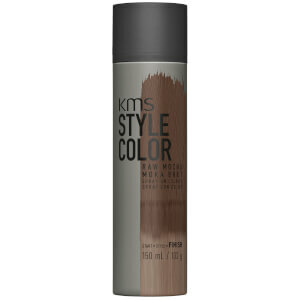 Working on both lighter and darker hair tones, the spray-on colour can be used to add contrasts and highlights, or for tinting roots. Formulated with a water-repellent sealing compound and Iron Oxides, which deliver colour-giving pigments, the non-permanent colour creates a flexible, ultra-thin film for moveable finish on all hair colours. Accentuates and finishes your style with striking colour. Pillow-friendly*. *Results may vary when used with oil-based products. Shake the can for 6-10 clicks before spraying – this helps to ensure an even application. Spray approximately 15 cm from the head onto dry hair. For best results use short bursts in a sweeping motion rather than a long direct spray. Wait until dry, then brush through. Intensity can be increased with the amount of product used.